Supports normal blood sugar balance in the body, encouraging vitality, energy and longevity. 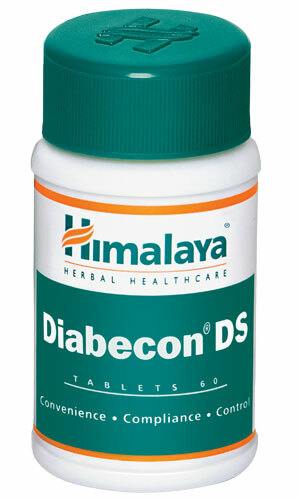 Helps to preserve pancreatic cells, which enable the body to store sugar safely in the muscles and liver. Includes Gymnema, a proven 'sugar destroyer,' which has been clinically shown to temporarily reduce the ability of the intestines to absorb sugar from food. Helps to control nervous eating, sugar craving and support blood sugar levels already within the normal range. Monotherapy: 2 tablets twice daily before food in newly detected Type 2 diabetes. Adjuvant therapy: 1 tablet twice daily before food as an adjuvant to OHAs or insulin. Monotherapy: 1 tablet twice daily before food. Adjuvant therapy: 1 tablet once daily before food. The dosage may be titrated depending on the patient’s response. DS tablet: Sealed pack of 60 tablets.